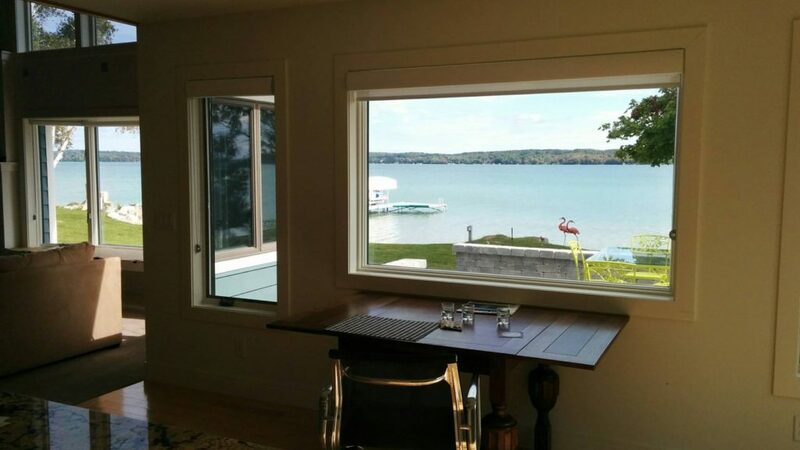 Elk Rapids, MI Window Tinting – Vista by Llumar Window Films is what we use at All Season Window Tinting to get the best fade protection in your home, while also reducing energy costs and adding comfort. Here are some shots from a morning installation. 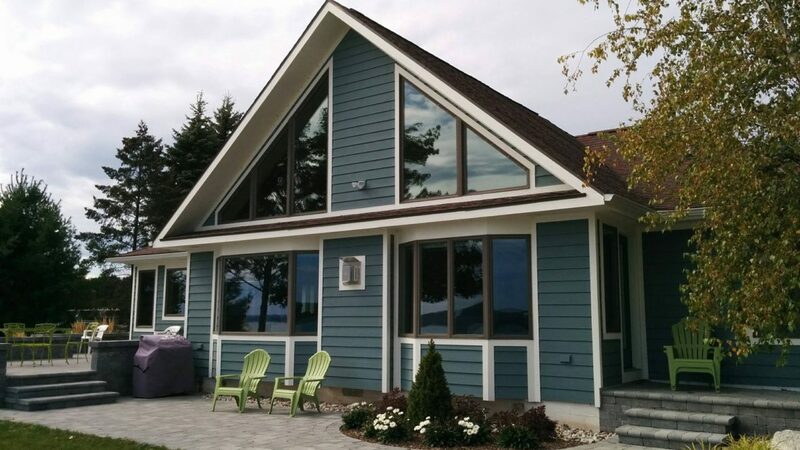 Transom windows are coated with Vista V38 dual reflective film, while the main view windows are coated with SpectraSelect VS60. Thank you to all of our customers who continue to keep us very busy through October! If you are interested in learning more about how window film can add privacy, heat or fade protection to your home, click HERE or give us a call today. You can contact the team at All Season Window Tinting by calling 231.943.9773 for an absolutely free, no obligation consultation and quotation on implementing home or business window film. Our service areas include Traverse City, Grand Rapids, Cadillac, Petoskey, Roscommon, Ludington Michigan and their surrounding areas.